Buy CA Atra 10mg contains Tretinoin (All Trans Retinic Acid) which is an anti-cancer ("antineoplastic" or "cytotoxic") chemotherapy drug. ATRA is classified as a "retinoid." Ca atra retinoic acid is used to treat a type of leukemia (cancer of the white blood cells) known as acute promyelocytic leukemia (APL). It kills certain types of cancer cells by interfering with their growth and reproduction. Slices Concession is a High Quality Ice Cream Machine & Equipment Wholesaler/Supplier. 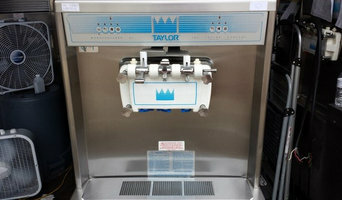 We sell used machines that are used to make ice cream, gelatos, frozen yogurt, slushies, frozen drinks and cocktails. Our high quality machines are for commercial use as well as at home, parties, flea markets, restaurants, and many more venues. We provide the best in quality & pricing through top brands such as Taylor, Electro freeze, Carpigiani, Stoelting, & many more. 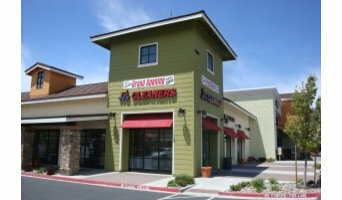 JJ’s Cleaners was started by Don Johnson in 1980. A long time resident of the Reno Nevada area, he takes great pride in his business and treats every garment of clothing as if it were his own. One of the first things he does when sorting through what needs to be cleaned is go through each of the pockets and make sure there’s nothing in them. Occasionally, he does find something: coins, money, a ring, keys etc. and he always puts it in a bag to give back to clients. That’s just the kind of person he is and his customers appreciate it. People come back time and time again because of the good service at each of his four locations. We are glad you’ve come here I hope that you’ll find everything to your liking, feeling good and looking better than ever before. Real Spirit USA, Inc. is an innovative consumer products development group headquartered in Reno, NV. Most notably, Real Spirit, under the brand names Advanced PureAir, Ultra-Pure and Air Water Life, develops and distributes the finest and most affordable water ionization and multi-stage portable air filtration and purification systems available today. There's a lot of wear and tear that breaks down your household appliance each and every day. Even in just a few years, your fridge, stove, washer and dryer could easily start having operational weaknesses. This can result in serious damage which might not be reversible without paying for an expensive repair. Contact us asap to get immediate (same-day or next-day) repair services delivered anywhere in Reno, NV whenever you need it. We specialize in appliance repair, dryer repair, washer repair, refrigerator repair, stove repair, oven repair, dishwasher repair, freezer repair, range repair, appliance parts Our offers: Fair pricing, No hourly rates, No hidden fees, Free service call with repair, Free checkups at no extra charge, Free estimate if we do the job, Same Day service, Access to Replacement Parts, Online discount. Brands we repair: Admiral, Amana, Bosch, Broan, Carrier, Coldspot, Dacor, Danby, InSinkErator, Electrolux, Emerson, Fedders, Friedrich, Frigidaire, GE, Gemline, Goldstar, Haier, Heil, Hotpoint, Jenn Air, Kenmore, KitchenAid, Koolatron, Krups, Lennox, LG, Magic Chef, Maytag, Modern Maid, Oster, Panasonic, Payne, Primier, RCA, Rheem, Roper, Ruud, Samsung, Sanyo, Sears, Sharp, Signature, Speed Queen, Sub-Zero, Summit, Whirlpool, Vinotemp. Contact by phone at (775) 204-0520 to get an estimate for your appliance repair job. Our local Reno, NV technicians can help; drop $20 with our online coupon! Fixing your appliance couldn't be any easier. It starts with discussing the specifics of your complications. Then we work out arrangements for you to meet with one of our Sparks factory-born appliance repair specialists. You get the repair priced out and if you take us up on the offer we'll eliminate the service call fee. We often get the repair done on-the-spot as we keep ourselves stocked with common parts when we meet with you! We specialize in appliance repair, dryer repair, washer repair, refrigerator repair, stove repair, oven repair, dishwasher repair, freezer repair, range repair, appliance parts Our offers: Fair pricing, No hourly rates, No hidden fees, Free service call with repair, Free checkups at no extra charge, Free estimate if we do the job, Same Day service, Access to Replacement Parts, Online discount. Brands we repair: Admiral, Amana, Bosch, Broan, Carrier, Coldspot, Dacor, Danby, InSinkErator, Electrolux, Emerson, Fedders, Friedrich, Frigidaire, GE, Gemline, Goldstar, Haier, Heil, Hotpoint, Jenn Air, Kenmore, KitchenAid, Koolatron, Krups, Lennox, LG, Magic Chef, Maytag, Modern Maid, Oster, Panasonic, Payne, Primier, RCA, Rheem, Roper, Ruud, Samsung, Sanyo, Sears, Sharp, Signature, Speed Queen, Sub-Zero, Summit, Whirlpool, Vinotemp. Contract our Sparks, NV appliance gurus to examine your appliance and get it working again. Call (775) 204-0787. Lower your bill by $20 with our online voucher! We provide the average person and small business with professional legal advice and services at an affordable rate. Whether you need a family law, small business or real estate attorney, we can help you. Call our law practice today. Any Appliance Service is here to repair your major household appliances. Service call diagnostic fee free with ANY repair! We take pride in having a fast response time and making sure the job gets done right! Warranties are offered on all repairs. Over 35 years of experience. Licensed Freon recovery sealed system technicians. Our restaurant offers the most authentic Mexican food and specialty dishes, always fresh and amazingly delicious. Come in today for breakfast, lunch, dinner, or happy hour! Your Nevada appliance professional might handle any or all of the following jobs: selling, installing, repairing and upgrading both small and large appliances. He or she can advise you on the right equipment for your Reno, NV home, from features to finishes, and is usually in the know about the latest technological advances and bells and whistles. When appliances hit a snag or start to show their age, a pro can advise you whether to repair or replace them, then carry out his or her recommendation. Some appliance professionals work closely with Reno, NV builders, remodeling contractors, and kitchen and bath designers, among others. Here are some related professionals and vendors to complement the work of appliances: Kitchen & Bath Fixtures, Kitchen & Bath Designers, Kitchen & Bath Remodelers, Specialty Contractors, General Contractors. Find an appliance professional on Houzz. Narrow your search in the Professionals section of the website to Reno, NV appliances. You can also look through Reno, NV photos to find examples of rooms with appliances you like, then contact the professional who worked on them.